Want it by Thursday 25th April? Order within 16 hours, 53 minutes and choose Royal Mail Tracked 24 Hour at checkout. Wrap up warm this winter with the soft and cosy Elsa scarf, the perfect oversized scarf for those bitter cold days. 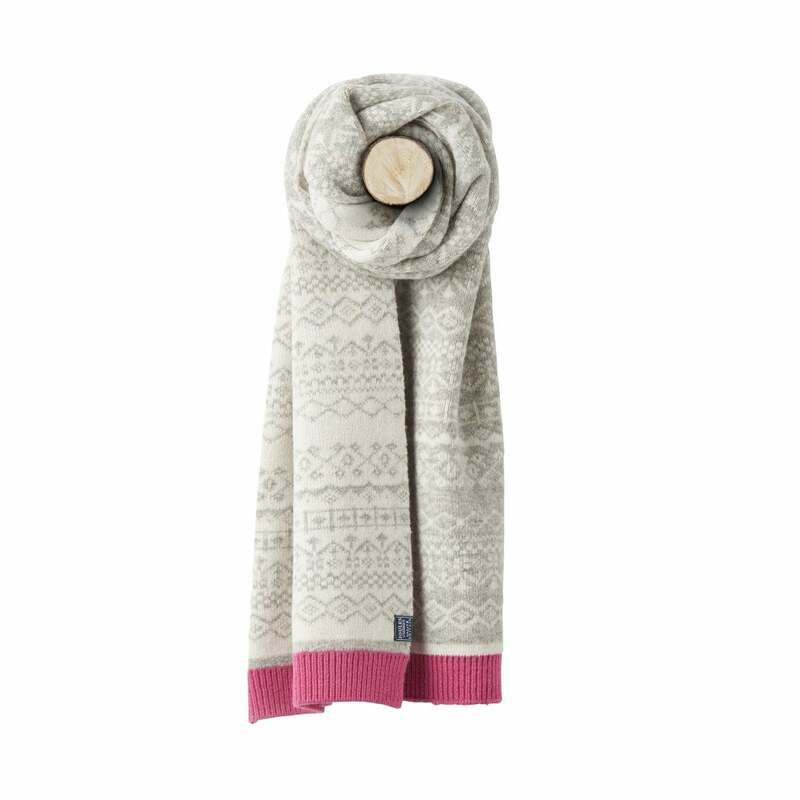 Available in the gorgeous grey Fairisle pattern with muted fuchsia contrast stripe.